Being able to stop with confidence in your vehicle is an absolute necessity. Whether it is a quick stop due to an unexpected obstacle in the road or just routine daily driving your brakes need to work and work well when you call on them. 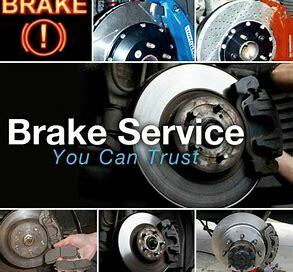 All vehicle maintenance is important but maintaining your car or trucks brakes are in good working condition may be the most important auto service that you can do. It could be said that the brakes of a vehicle are the most important safety feature on the vehicle. To ensure proper functionality your brakes should be examined at least once a year for the safety of you and your occupants. At Trev’s Automotive we not only recognize how important your brakes are but take the responsibility of maintaining them very seriously. There are two types of braking systems on most cars; traditional brakes and anti-lock braking systems (ABS). As well there are disc and drum brakes depending on your vehicle design. A typical disc brake system consists of the rotors, calipers and brake pads or brake shoes. If your brake pads wear and are not changed they can damage the rotors. 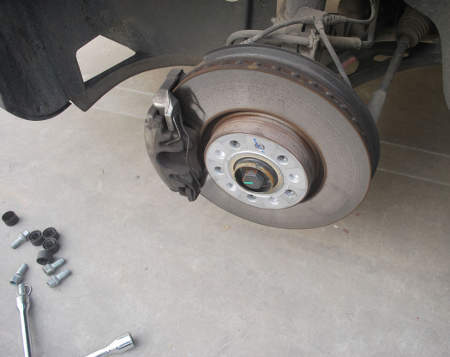 This frequently results in replacing the brake rotors also. If anything breaks on your vehicle’s braking system it can be catastrophic to the driver or passengers. As Clifton Park, NY has become a bustling suburban community with a busy school district and lots of traffic signals frequent stopping is often required. Whether you drive long distances frequently or are just a short daily commuter you can’t neglect your vehicle’s brakes.